Book signing can be fun! 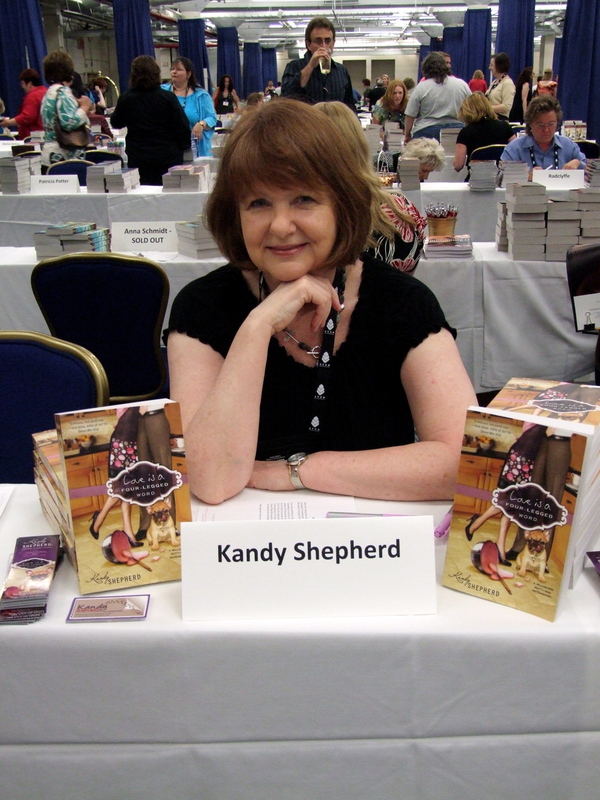 My first Romance Writers of America convention as a published author with my actual printed book to show, sign and sell. The big literacy signing at the Marriott Wardman Park in Washington DC was awesome – more than 500 authors signing their books donated by our publishers with the proceeds going to adult literacy programs. 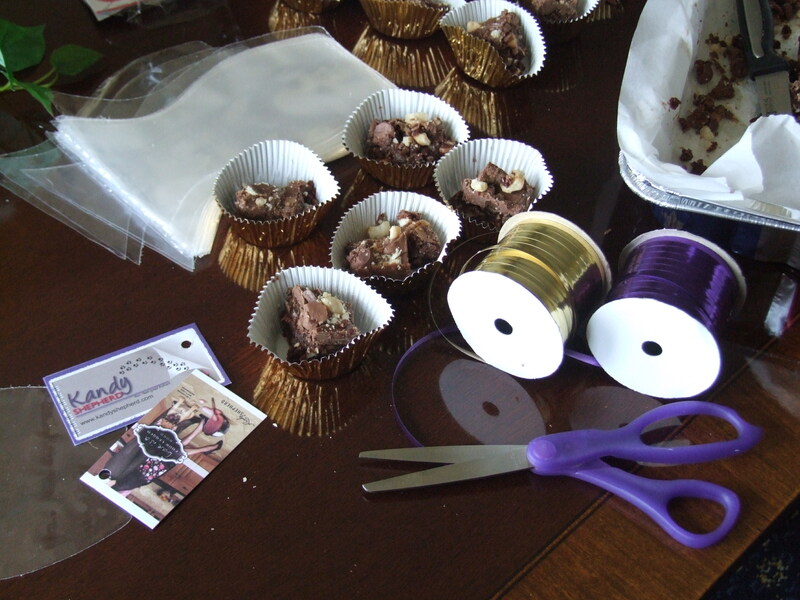 All wrapped in bite-sized pieces the brownies filled a basket and made a good excuse for people to stop and sample – both the brownies and my book. 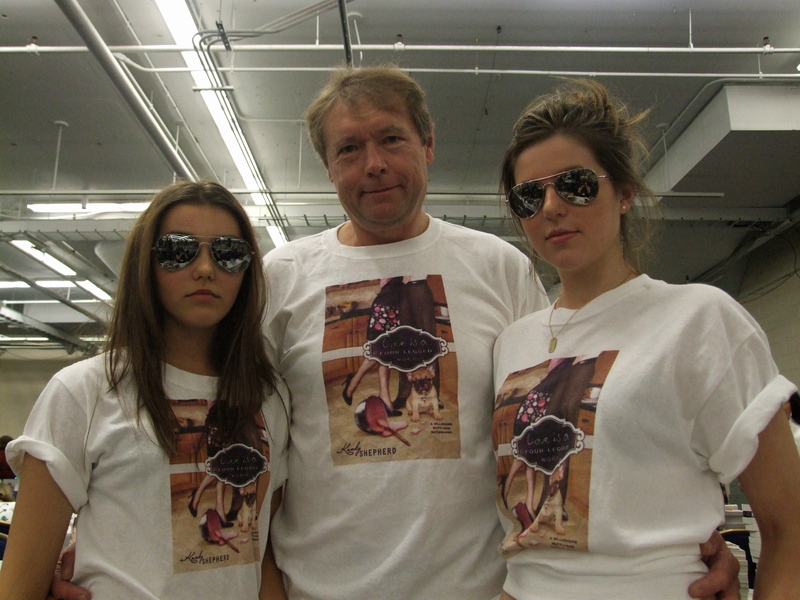 Then my marketing assistants – husband, teenage daughter and her friend wore their LOVE IS A FOUR-LEGGED WORD T-shirts with great enthusiasm and handed out bookmarks to direct readers to my little area of that room. They got lots of comments! And yes, I signed lots of books! It was a wonderful experience.